Jefferson City, Mo. 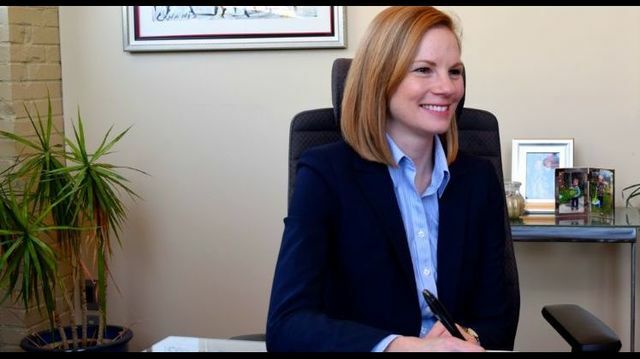 - Auditor Nicole Galloway released Wednesday her review of the state's home and community-based services program to assist disabled and elderly Medicaid-eligible Missourians. The report examined the effectiveness of recent cost-saving measures approved by the legislature and recommended continued improvement to processes for determining and authorizing individual need. The Department of Health and Senior Services (DHSS) and the Department of Social Services (DSS) administer the program, which provides care such as home-delivered meals, adult day care, respite care, personal care services, registered nurse services, and homemaker services. These home-based services allow individuals to remain in a community setting, often times as an alternative to entering a nursing facility. The audit found both the costs and the number of participants using home and community-based services have increased significantly in recent years. Costs have increased from $620 million in the fiscal year 2014 to more than $816 million in the fiscal year 2017, while the number of participants increased from 61,101 to 66,332 during that same period. The growth of expenditures has outpaced the growth in participants. The number of participants during those years increased by less than nine percent; the average annual cost per participant increased from $10,150 in the fiscal year 2014 to $12,203 in the fiscal year 2017, a growth of more than 20 percent. Even as costs have increased, they remain below average nursing facility costs. In 2017, changes were made by the Governor and the General Assembly to reduce the number of participants and control costs. This included changes to the eligibility standard by increasing the required level of care (LOC) score from 21 to 24 for individuals to qualify for services. At the same time, the cap was lowered on the number of certain services available to each person, and provider reimbursement rates were reduced. The changes resulted in decreased expenditures in the fiscal year 2018 and reduced the program's rate of growth. However, the audit found the budgetary estimates provided throughout the process were not reasonable and resulted in overestimates in cost-saving projections. "With those eligibility changes in place, DHSS estimated there would be a savings of $43 million in this past fiscal year as fewer Missourians were expected to qualify for services," Auditor Galloway said. "What was not taken into account was how reassessed LOC scores would also rise, as they have in the past few years. The savings have been overestimated, which cause greater budget challenges and, often, the need for supplemental appropriations. More realistic estimates would have helped avoid those problems." The Auditor also said that DHSS lacks an effective and consistent statewide system to identify individuals most in need of services when agency staff determines eligibility. The system also is not effective in scoring the degree of need to determine the appropriate amount of services authorized, she said. For example, transportation needs and social supports significantly impact services needed and authorized, but are not taken into account when determining LOC scores. The audit recommends that DHSS develop more accurate budget estimates for home and community-based services and that when program changes are made to reduce costs, expenditure projections should consider how rates have changed in the past. Auditor Galloway also recommended that DHSS continue efforts to improve the systems and processes for the level of care assessments and authorizations of service. The complete audit of the home and community-based services program can be found here.